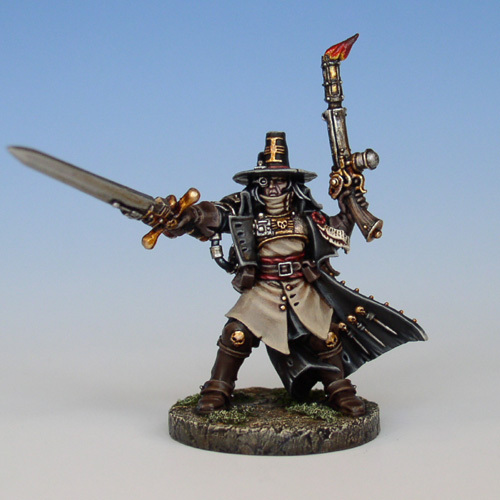 Painting this model I went for a classic witchhunter-look. For the black I added bleached bone for the highlights which helps to avoid the black going grey and also makes the cloak seem softer. The metal areas were glazed using Tamiya inks and my standard metallic techniques.